After a long Maine winter, it is great to see all of the signs of spring around us, at last! We had a a community meeting in late April that incorporated the theme of spring. We shared some poetry in recognition of National Poetry Month. The first graders also sang a spring song from the Rowe Show to the kindergarten children. 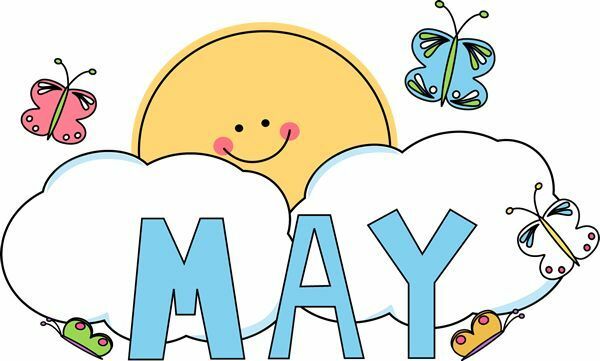 Later in May and into the early part of June, we have a variety of exciting events planned such as: a strings demonstration by 317 Maine, a contra-dancing demonstration, a bicycle safety presentation, our coastal studies unit, including touch tank and horseshoe crab study with a local presenter. In addition, there will be the yearly book fair and ice cream social event, basket raffle, and annual school-wide trip to Crescent Beach. It is sure to be a productive and enjoyable end to the school year! While the weather has warmed up a great deal, we are finding that mornings can still be quite chilly. Please be sure to send your child with a coat or sweatshirt. If the day warms up sufficiently, we will allow the children to leave their coats in their backpacks. We also ask that children wear sneakers or sandals with backs, rather than flip-flops, for safety on the playground. Thanks in advance for your help! Yarmouth Education Foundation and Royal River Books are teaming up for a Shop Local event. Royal River Books on Main Street will donate 20% of all sales to YEF on Sunday, May 6. The store is open 10-5. You’ll receive a free gift with every purchase and there is free gift wrapping too! You can also support YEF by enjoying Otto Pizza on Tuesday, May 22, from 5-9. Otto will donate a percentage of sales to YEF. You can eat there, take home, or purchase a gift card. The Royal River Community Players will be hosting our third All Ages, All Talents Coffeehouse on May 19th. Their goal is to showcase a greater variety of talents. They are looking for skits, improvisation, comedy, magic, monologues, poetry, slam poetry, dance, martial arts... you name it, they want to see it. They also love musicians and this time around, their house band is even opening some rehearsal time for folks who would like to have some back up. Whether you play an instrument, sing, or even write music... it's your chance to shine too! Teacher Appreciation Week, May 7-11, is approaching and we’d love your help in throwing the teachers and staff a heart-warming breakfast. Please sign up to help your PTO do just that. Tuesday, June 19th Last student day of school. Students will be dismissed at noon.